Beautiful 日. For SPIN's April cover story about U2, London-based photographer Takay traveled to the band's hometown of Dublin, Ireland. 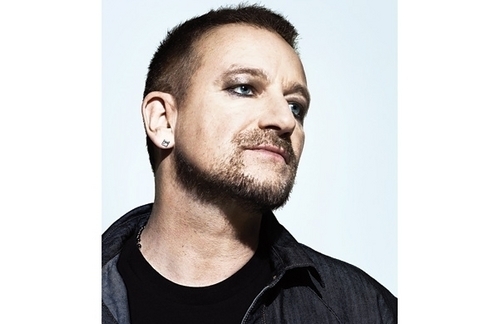 In this shot, frontman Bono freshens his look with a hit of eyeliner (p.s., the makeup was his idea, not ours).. Wallpaper and background images in the U2 club tagged: u2 dublin photo shoot spin magazine bono beautiful day. This U2 photo contains 肖像画, ヘッドショット, クローズアップ, ポートレート, ヘッド ショット, and クローズ アップ.